Wastecorp is a double disc pump manufacturer. 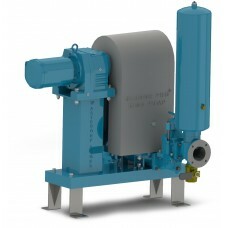 Wastecorp is a competitor to Penn Valley Pump Co. Wastecorp has elevated double disc pump technology to the next level. View our comparison. Meet the Sludge Pro disc pump product line consisting of eight pump models ranging from single disc to double disc pumps, triplex and quadruplex configurations. 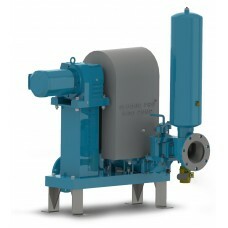 Sludge Pro's pump up to 502 GPM and feature a leak free design with no regular maintenance required. We offer long lasting trunnions, discs and ball valves for the ultimate pumping experience. Your facility can also try Sludge Pro disc pumps for free. 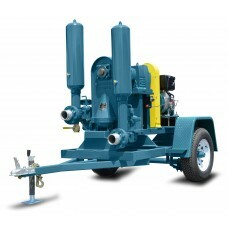 We are confident you will want to keep it when you see how easy the Sludge Pro is to operate. We also offer a try and buy program to replace your current double disc pump, lobe pump, plunger pump or progressive cavity pump. 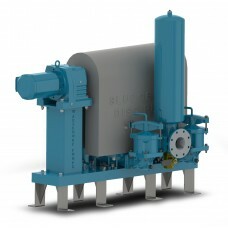 New pump distributors are welcome for the Sludge Pro Disc pump product line. Contact info@wastecorp.com for more information. Having trouble finding a comparison guide for double disc pump manufacturers? Download our comparison guide resource for engineers, operators and pump distributors. Sludge Pro single disc pumps use one trunnion to pump up to 127 GPM. Select from either the Sludge Pro Space Saver or the standard Sludge Pro simplex model. 3" Single Disc The Sludge Pro 3SDWP disc pump is designed to pump sewage and sludge up to 84 GPM.Lea.. The Sludge Pro 4SDWP disc pump is designed to pump sewage and sludge up to 127 GPM.Pump from 0-127 G..
Wastecorp is the manufacturer of Sludge Pro double disc pumps. 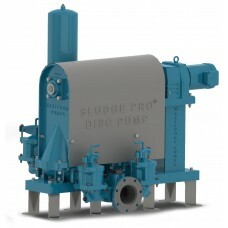 Sludge Pro pumps are designed to transfer municipal sewage, sludge, food processing waste and much more. 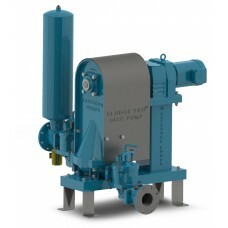 3" Double Disc The Sludge Pro 3DDWP disc pump is designed to pump sewage and sludge up to 165 G.. 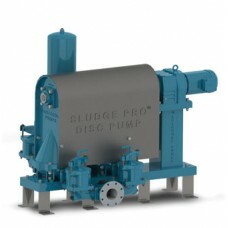 The Sludge Pro 4DDWP disc pump is designed to pump sewage and sludge up to 250 GPM.Runs dry without .. Mobile double disc pumps with tier 4 compliant diesel engines and your choice of clack valve style or ball valve style variations. The first double disc pump for mobile use. DOT compliant trailer mounted or skid mounted. Designed t..